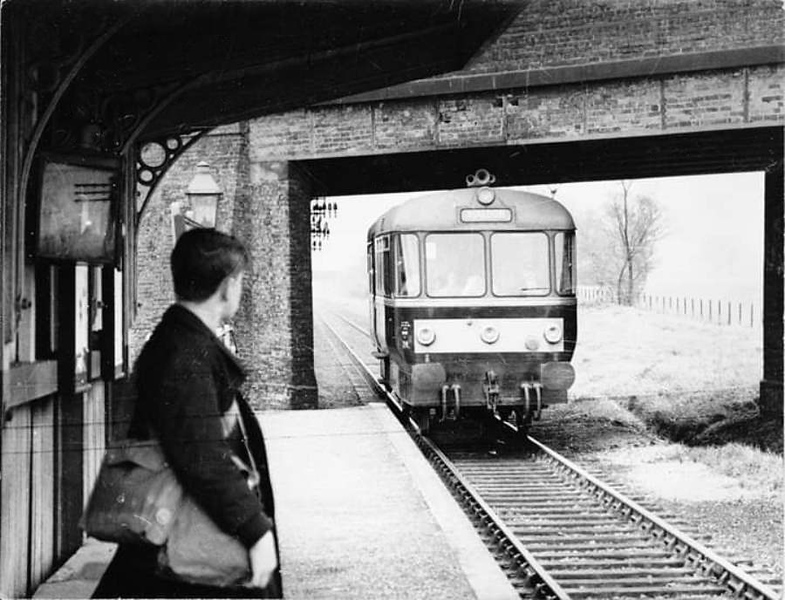 A Waggon und Maschinenbau rail bus arrives at the station bound for Maldon East. 1964. Image with kind permission of Jim Wyatt.